Bologna has a timeless siluette with a peep toe front and an adjustable ankle strap. Classic style and comfort. 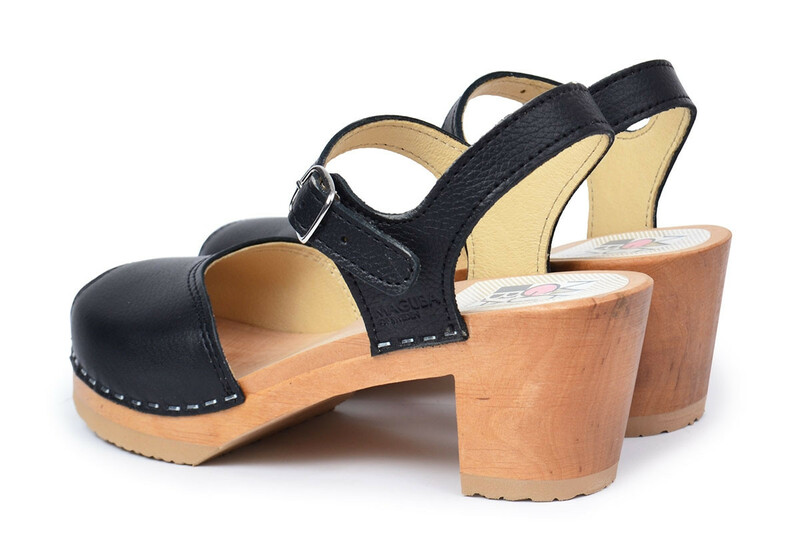 The sandals are made in our extra soft pebbled black leather on our varnished natural Mid heels.